Student achievement, classroom projects, fun field trips, engaging activities – all are things readers can learn about on the pages of the Hawk Talk this school year. The Hometown Press is again partnering with L-S juniors and seniors in Newspaper I and Newspaper II this school year to highlight the success of Lynnville-Sully students and staff members. The journalism students, led by Joel Vos, high school English teacher, will contribute stories, photos, and more on a regular basis as we strive to bring school news to our readers. Last school year was the inaugural partnership between the school and the Hometown Press, however a working relationship with the school and local paper dates back 40 years. Starting in 1975, L-S students wrote articles for the Diamond Trail News, the local paper at the time. In 2003, the school branched off to publish their own paper, the Hawk Talk. Now, two years into re-establishing a partnership with the local paper, students are learning a great deal about the newspaper industry, exploring and sharpening their reporting, writing, and editing skills, and contributing to an award-winning newspaper. This year, 27 students make up two classes under the leadership of Vos. Look for their names and stories to appear on the Hawk Talk and sports pages as they strive to deliver school news to the community. 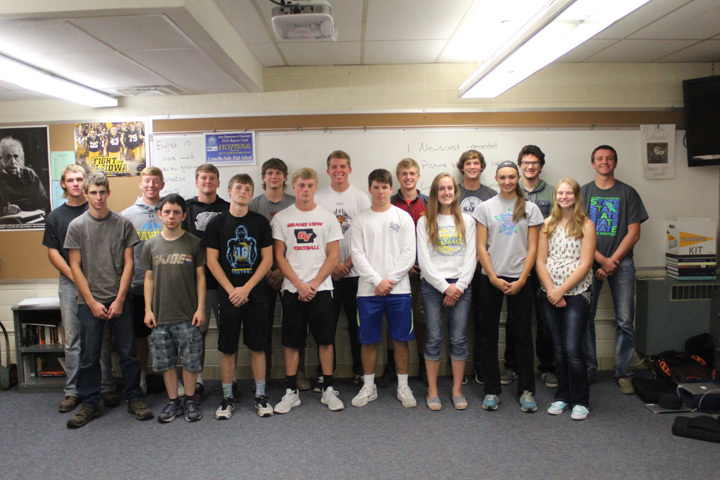 Members of Lynnville-Sully’s first section of journalism students are, front, left to right: Brett Maasdam, Jacen LeCompte, Brevin Hansen, Tyson Vander Linden, Sage Zylstra, Daphne Hackert, Taylor Maasdam, Madison Johnson; back: Garrett Cordes, Kemper Lukehart, Grant Wehrle, Luke Waddle, Jesse Van Wyk, Holden Jansen, Drake Ehresman, Corey McCoy, and Rylan James. 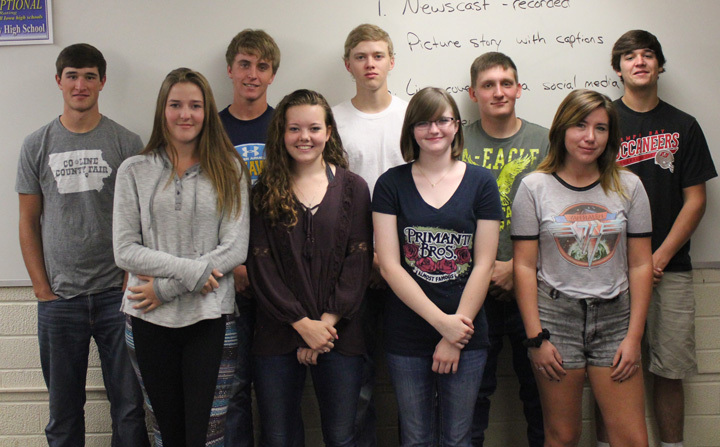 Members of Lynnville-Sully’s second section of journalism students are, front, left to right: Kierra Wood, Mary Kate Shaver, Makayla Ford, Rebecca Morningstar; back: Elijah Collins, Cody Gibbs, Mason Dunsbergen, Kole Kinion, Abram Collins, and not pictured: Nathanael Lirio.